If you are looking to expand your network, Twitter is a great place to start. For this week’s Productivity Wednesday, we’ve compiled a list of the top 50 Human Resources Twitter influences so that you can keep up to date on the latest news and trends within the field of HR. These influencers were chosen by a combination of factors, relevance to the field, number of followers, and engagement with other Twitter users. Thinking out joining Twitter? 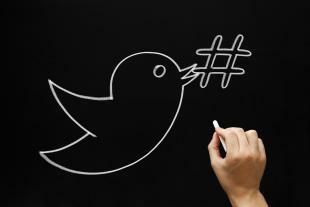 We’ve got the perfect place to start with our free Beginning Twitter for Professionals course. Also check out our Top 100 Education Technology Must-Follows. Sharlyn Lauby (@sharlyn_lauby) — Sharlyn is the author of the HRBartender blog, as well as a leadership/management training consultant for the ITMGroup. You can also find her writing over on Mashable.com. CareerBuilder (@CareerBuilder) — Manned by Tony V., CareerBuilder’s twitter account gives you the latest in job search advice, employment trends, and other topics. William Tincup (@williamtincup) — William is heavily involved in the HR spaces as a consultant, speaker and blogger. He is the co-host of DriveThruHR, a Fistful of Talent blog contributor and is a noted expert in HR software user acceptance. Jamey Jackson (@JameyJackson) — Jamey is the VP of Malone Professional Solutions, which is a recruiting and sourcing firm specializing in automotive, manufacturing, engineering, healthcare and administration positions. Laurie Ruettimann (@lruettimann) — Laurie is a writer and speaker covering HR, employment and social media. Jessica Merrell (@blogging4jobs) — Jessiva has been recognized as one of the top 50 #SoMe Power User by Forbes. She enjoyes writing about topics related to HR, recruiting and leadership. Bryan Wempen (@bryanwempen) — Bryan is the co-founder of ceVoke, a boutique speaker agency. He is also a co-host over at DriveThruHR. Meghan M. Biro (@MeghanMBiro) — Meghan is a leader in building the case for brand huminazation is an excellent resource for using Twitter for business. She is the founder of TalentCulture, which hosts #TChat every Wednesday from 7-8pmET. Josh Bersin (@Josh_Bersin) — Josh is the founder of Bersin by Deloitte, a research and advisory services firm focused on corporate talent management. Trish McFarlane (@TrishMcFarlane) — Trish is an HR strategist and co-founder of HRevolution and WomenofHR.com. She enjoyes speaking on communication and new media as it related to HR. Bill Humbert (@TheRecruiterGuy) — Bill H. is the Talent Engagement and Marketing Leader at PepsiCo, as well as a social and gadget addict. Bill Kutik (@billkutik) — Bill K. is an independent industry analyst and the father of the HR Technology Conference. He is a regular online columnist, as well as the host of The Bill Kutik Radio Show. Jacinta Croagh (@Croaghie) — Jacinta is all things strategy: advertising, marketing, brand, social media, content, HR comms. She is an active blogger and Director at Croagh Ink. Mike Haberman (@MikeHaberman) — Mike is a human resources consultant and all around curious guy. He enjoys helping small busineses solve people issues. Tim Sackett (@TimSackett) — Time is the VP of HRU and a regular Fistful of Talent contributer. He is an engineering and technical recruiting pro. Traci Deveau (@Devoted2HR) — Traci is a Sales Director with Dovetail Software and has more than 20 years experience in Human Resources, technology, and marketing. Jon Ingham (@joningham) — Jon is an analyst, blogger and consultant in strategic and innovative management of talent, human and social capital. His passion includes HR 2.0 and current technlogy trends in HR. Mary Wilson (@LearnSolMary) — Mary is a career coach and HR consultant. She also runs the Learning Solutions blog. Mark Stelzner (@stelzner) — Mark is a leading HR consultant and strategic advisor. He is the founder of Inflexion Advisors and @JobAngels. David Shepherd (@oldshep) — David is the content and platform director at XpertHR which specializes in employment law, HR good practice, benchmarking, pay, benefits, and the labour market. Ben Baran (@BenBaran) — Ben is a researcher, author, consultant in the HR field. He is most interested in organizational behavior and human resources strategy. By day he is a management professor at Northern Kentucky University. Sian Harrington (@sianharrington) — Sian is the publisher and editor of HR magazine, and has more than 23 years of journalism experience. Justin Bidwell (@JustinBidwell) — Justin specializes in engineering recruiting and is the owner of Bidwell & Associates. His tweet stream is full of information on technical jobs such as: mechanical, electrical, software, manufacturing, IT, and marketing. Curtis Midkiff (@SHRMSMG) — Curtis is the Director of Social Engagement for SHRM, the world’s largest association of HR pros. Johanna Ratcliffe (@ratcliffe_j) — Johanna is the Digital Communications Manager at CIPD and enjoys witty banter on her Twitter stream. Tim Gardner (@theHRintrovert) — Tim is a solution oriented blogger and HR professional. He has been in many sides of HR, including generalist and organizational effectiveness. Chris Frede (@HRBuoy) — Chris is an HR generalist and recruiting manager in a corporate environment. Naomi Bloom (@InFullBloomUS) — Naomi is a leading analyst and consultant in HR technology. She is a Managing Partner at Bloom & Wallace. Jason Averbook (@jasonaverbook) — Jason is the Chief Business Innovation Officer at Appirio. Sue Meisinger (@suemeisinger) — Sue is a the former CEO of SHRM and is incredibly passionate about the profession. She loves conversing with other professionals with opinions on the industry as a whole. David Woods (@davidpaulwoods) — David is the Deputy editor of HR magazine, writing about all things work-related. Natalia Thomson (@N_Thomson) — Natalia is a Digital Communications Executive at CIPD. She is most passionate about social media, digital marketing and customer engagement. Nisha Raghavan (@TheHrbuddy) — Nisha is a DriveThruHR co-host, who loves talking about cultural diversity and social media’s impact on HR. Michael VanDervort (@MikeVanDervort) — Michael likes to be on the cutting edge of HR and social media. His tone is fast and thorough, and his posts are sharp and to the point. Kevin W. Grossman (@KevinWGrossman) — Kevin is a Director at Peoplefluent and the co-founder of the weekly #TChat. Jason Buss (@jjbuss) — Jason is the VP of Recruiting and Diversity, as well as the creator and editor for TalentHQ.com. Heather Vogel (@hrwhisperer) — Heather is an HR and organizational development guru who rehabilitates organizations and nurtures talent. Dean Da Costa (@Deandacosta) — Dean is a highly decorated professional with more than 20 years of experience in recruiting, staffing, leadership, project management and HR. Debbie McGrath (@hrdotcom) — Debbie is the CEO of HR.com where HR professionals can go to discuss best practices, share their expertise and network. Lance Hauden (@thelance) — Lance is the Editor for SourceCon.com and a recovering HR/recruiting pro. Nora Burns (@PHRSPHR) — Nora has more than 20 years in the HR field as a consultant for applying and maintaining your PHR/SPHR certification. Joann Corley (@joanncorley) — Joann is the Founder, CEO of The Human Sphere, a holistic talent management company. She is also author fo the book, ‘The Force Within’. Barry Deutsch (@Barry_at_IMPACT) — Barry is an active speaker on HR/Human Resource topics, specifically, how to hire AND retrain talent. He is also an author of multiple best-selling books on hiring and job search. Maren Hogan (@marenhogan) — Maren is the Chief Marketing Brain of RedBranch Media. She help folks in recruiting, talent acquisition and HR, figure out marketing, community and social. Steve Boese (@SteveBoese) — Steve is the HR Technology Conference Co-Chair and host of the HR Happy Hour Show and podcast. Steve is a frequent contributor at Fistful of Talent and HR Executive Magazine. Kris Dunn (@kris_dunn) — Kris is a VP of HR and Founder of the HR Capitalist and Fistful of Talent sites. Guy Ellis (@CourageHR) — Guy is passion about changing the way we see ourselves in HR and the rike we can do. Diane Pfadenhauer (@hrlawyer) — Diane is an employment attorney and has trained hundres of HR and legal professionals in strategic planning, compliance, conducting investigations, performance improvement and more! Mark Walsh (@warkmalsh) — Mark provides useful, funny and challenging tweets about leadership, HR, stress/time management, team building and communication. He is the founder of Integration Training. Orrin Woodward (@OrrinWoodward) — Orrin is ranked among the top 25 global leadership gurus and is devoted to principle-based living leadership for people and organizations. If you feel that there is an influential HR Tweet user that we missed, please respond in the comments! Scott Simmerman (@scottsimmerman) — Passionate about team building and organization improvement tools. Ajay Pangarkar (https://twitter.com/ajayPangarkar@ajayPangarkar) — President of Central Knowledge, Inc.
Marc Rosenberg (@marcjrosenberg) — Speaker in organizational learning, knowledge management and performance improvement. Jane Bozarth (@janebozarth) — Author of Social Media for Trainers and elearning coordinator. Karl Kapp (@kkapp) — Consultant working at the convergence of learning, technology and gamification. RJ Jacquez (@rjacquez) — eLearning analyst and teaches class on mlearning design. Paul Hebert (@IncentIntel) –Humanizing the organization. Creating emotional connections with your target audience. Ann Bares (@annbares) — Compensation consultant and blogger.